At Jerry Lambert Automotive, we’re proud to service a wide range of vehicle types for all Salt Lake City drivers. Whether you’re driving an old classic or one of the newer, more modern brands that’s relatively new to the automotive scene, we have the expertise and years of experience to handle all your needs. One such brand in the latter category here? 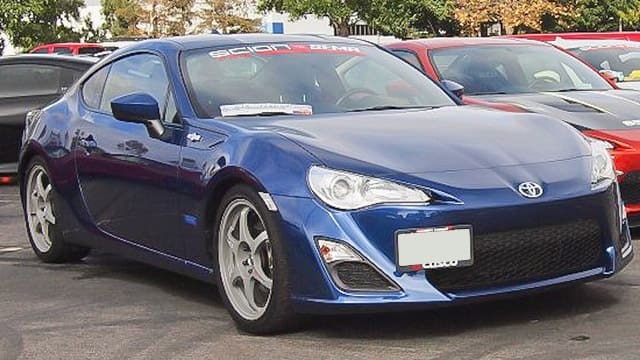 Scion, which is one arm of Toyota Motor Corporation in North America. Scion is branded specifically as a bold, modern option for the Generation Y demographic, with a huge range of customizable options at purchase and sleek designs meant to attract a younger crowd. A unique vehicle requires unique service, and that’s what you get at Jerry Lambert Automotive. Founded in 1959 as Lambert Service, a full-service gas station backed by family ownership and a personal service atmosphere, we’ve parlayed our success into one of the most trusted auto shops in all of Salt Lake City and surrounding areas like West Jordan, Draper and Sandy. This starts with our mechanics, who are all ASE-certified and have years of experience across a wide variety of brands. It continues with our friendly service staff, who keep you comfortable and help you communicate with your technician as your vehicle is being worked on. This two-armed team helps ensure the kind of transparency in our services that has us rated as an A+ by the Better Business Bureau every single year. So if you’re a Scion driver in need of auto service that’s stayed with the times, look no further. Contact the pros at Jerry Lambert Automotive by phone today to set up an appointment, or simply drop by our 3300 South location as needed.